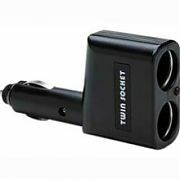 Converts any 12V cigarette lighter socket to dual power outlet. LED light indicates power. Fuse included.